Nelly (real name Cornell Iral Haynes, Jr.) was arrested in Auburn, Washington this morning after a woman went to police with accusations that he raped her on his tour bus. According to reports, the woman claims she met up with the “Country Grammar” rapper (above during his performance in Auburn), who’s currently on tour with country duo Florida Georgia Line, on his tour bus ahead on his performance in Ridgefield, Washington tonight. 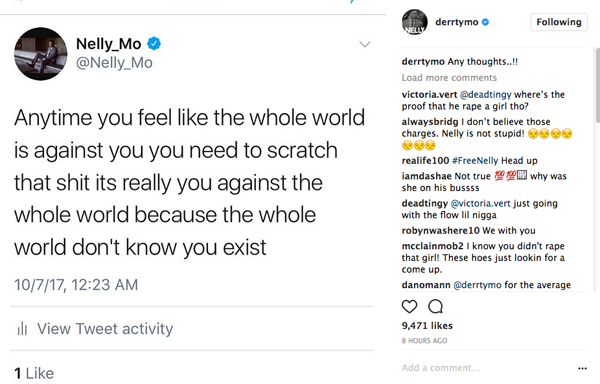 The unidentified woman specifically pointed out Nelly as the person who raped her and said the alleged act went down Saturday morning around 3:45AM. Apparently, there was probable cause, so he was booked on second-degree charges and was brought into custody around 7:00AM. Q13FOX reporter Brandi Kruse reports police picked Nelly up off the tour bus parked behind a Walmart. 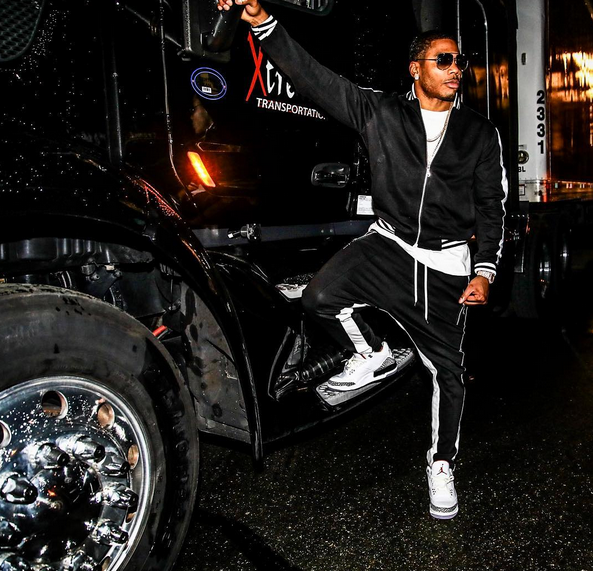 Nelly should just stay off tour buses. In 2015, he was arrested on felony drug charges when police pulled his tour bus over and allegedly found marijuana and MDMA. He lucked up in that situation where he didn't have to do any jail time since he had a clean criminal record. By the way, Nelly's girlfriend Shantel Jackson is starring in E! 's upcoming show, "The Platinum Life," set to premiere next week. The time of this "story" seems a bit suspect. Thoughts? NEXT: Scottie & Larsa Pippen Are Still All Boo’d Up + Sofia Richie & Scott Disick Do Date Night + Have Tracee Ellis Ross & Bu Thiam Reunited?